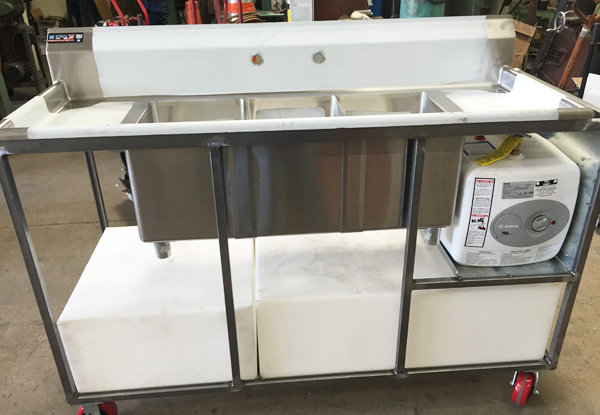 Bob’s Welding fabricated this custom stainless steel dishwashing system for a client in Tustin, CA. The portable steel structure holds various sinks and pipes. We worked with the client to create a design that met their needs, then we cut and fabricated all materials to exact measurements. We perform all types of machining projects for industrial & commercial clients in Orange County, CA. 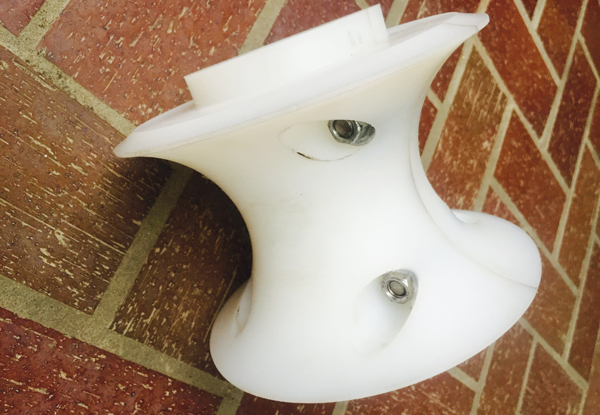 We created this custom pulley out of Delrin, a hard plastic, for a hosing system. We machined this particular pulley in two pieces, as requested by the client, so they could easily install it on location. Bob’s Welding fabricated this custom industrial machine table for a client in Portland, Oregon. Our metal fabrication services are available to customers throughout the West Coast. This powder-coated steel table was cut, assembled, and welded to meet our customer’s specifications. We designed & fabricated multiple steel enclosures in Anaheim, CA for a new local brewery. WWe worked with our client’s specifications to create a design that was functional and complemented the building’s aesthetics. The steel enclosures were custom fabricated and powder-coated in our Anaheim welding shop then installed on location.